If dust is as glued to the tube as you are, check out the small-screen talents of these everyday cleaning companions that can keep your binge-watching crystal clear. One of life’s simplest pleasures is plopping down in front of the TV to watch your favorite show. But sometimes when you tune in to your beloved comedies, mysteries, and old westerns, you may notice that your flat-screen TV is mired in a dust bowl drama of its own, with accumulated dirt, debris, and fingerprints fading its shine and clouding your view. While the glass screens of old-school TVs can handle Windex and other store-bought products, the LCD screens of today’s models have delicate pixels that can be damaged by many common cleansers. Before you reach for a chemical-laden specialty cleaner, try using humble materials already under your roof to bust the dust on your flat-screen. To start, turn off your TV and let it cool to reduce the risk of static shock and also to make the imperfections easier to see. Because paper towels and hand tissues have wood-based fibers that can wear away the screen’s antiglare coat, choose a clean, lint-free microfiber cloth or a cotton T-shirt to do your dirty work. 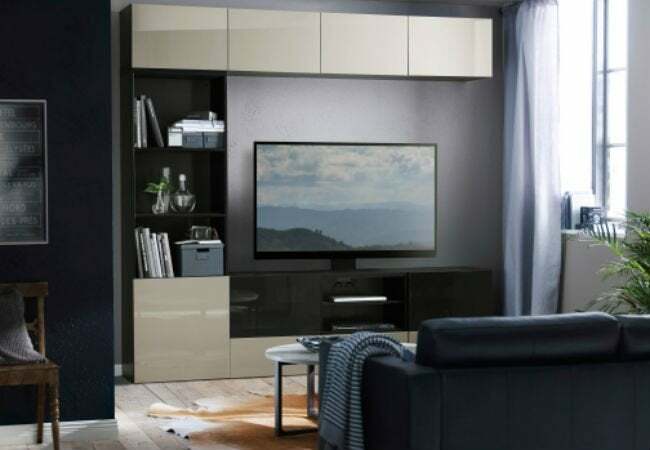 Dab or spray a well-mixed solution of equal parts vinegar and water onto your cloth—never spray liquid directly onto the TV—and, using moderate pressure, gently wipe the cloth over the screen from left to right and then top to bottom before tackling the frame. Vinegar, however, isn’t the only kitchen staple that can destroy dirt on contact: Using the same motion, you can slide an unused coffee filter over the screen to capture dust and cut screen static faster than you can make a cup of joe! Repeat this ritual at least once a week to maintain the crystal-clear finish of your flat-screen. Don’t forget to extend the same consideration to your TV’s hardworking partner—the remote control. Using a cotton swab saturated in rubbing alcohol, sweep dust from the crevices of the clicker. And when you’re all done, press the power button and get settled in for an ultra-vivid TV marathon!